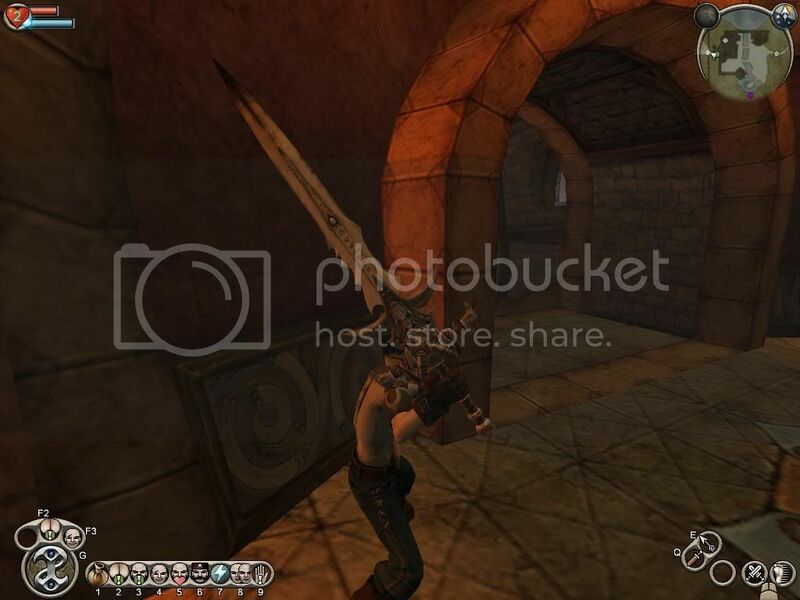 Discussion in 'Fable Mods (Releases)' started by pPLnOmE, Sep 19, 2009. Here is how it goes, Frostmourne was Modeled and Textured by jojjo (He's not a Fable Modder, he's an Oblivion Modder, as this weapon model was made for). It has ALOT of polys (over 25k) and LOD 1 and 2 are messed up, seeing as how everyone who tried to fix the LODs got their FE to crash, the LODs are left untouched. What I did: I applied the texture, linked the proper mesh, re-scaled the sword's (float)Scale to 1.1 (1.0 will work as well) and fixed the way it is held. When using this sword, you won't see the messed up LODs because of its increased size, but if your at a cutscene where the screen zooms further away from the Hero than your player movement cam, you will see a different model replace Frostmourne. Hope you enjoy this Weapon as much as I do, and If I ever perform any kind of new fix to it later on in time, I will edit this post with my newest fix. So it is held correctly and everything now? And good job on getting past that stupid FE crash when you try to load the LOD 1 and 2.
seeing as how everyone who tried to fix the LODs got their FE to crash, the LODs are left untouched. unfortunately no, and morerunes tried to fix the way its held via changing the scripts weapon matrix, but somehow that didn't work. someday when I get more familiarized with my 3ds max I will try to do something with that. 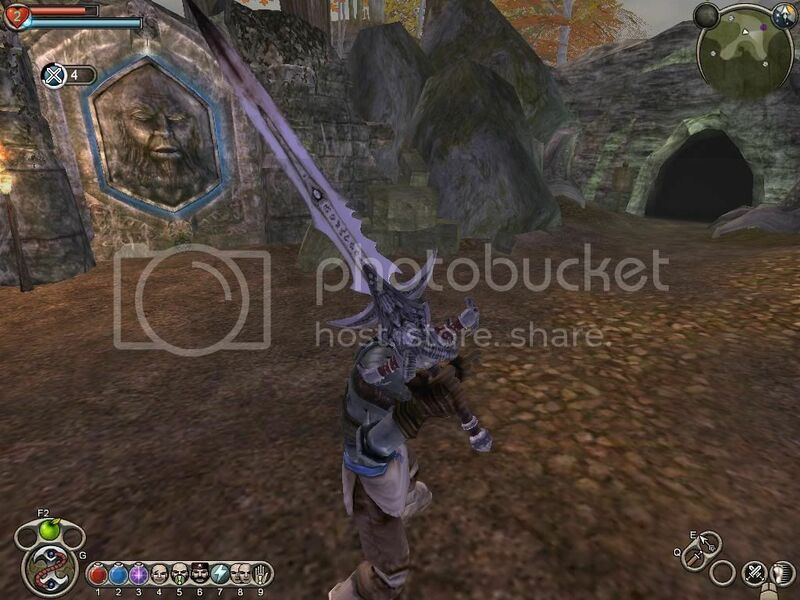 Could someone post up a pic, i unistalled fable but that sword must look awesome! Well I might have made a fix, might not have. I'll send you the .x file in a bit. I cant figure out how to export .x files with my 3ds max though.... i have the plug-in for importing, one doesnt exist for the export. jojjo is completely responsible for the complete creation of this sword in entirety and whole, both texture and model, based off of the Frostmourne design by the company Blizzard. I, morerunes, have only gotten permission from jojjo to port his design to Fable - The Lost Chapters. ahhh, ok. well, is jojjo even on anymore? I never see his name on fablemodtlc, and same on here. He's over at TESNexus, he was never a fable modder. ok, done. Should I give credit to you for giving us the files atleast? that would be really helpful. I basically got it working good, the only time you can notice the bad LODs is at a cutscene, otherwise everything is good. Hey onequestion how must i Spawn it? i mean like OBJECT_ what?? Hey how do i spawn it exactly ? im new here i have the same question how do we spawn it?? ?we have to add it to our inventory using FE? ?if i have to do that whats the id of the weapon?? I couldn't find a tutorial on this site so..